Carramar Golf Course boasts one of Western Australia’s largest MyGolf junior programs with over 180 registered participants in our programs since 1995. Classes are available for boys and girls aged 4 to 12 in our MyGolf program with an invite into our Development Squad as a progression once they display the necessary skills to advance. 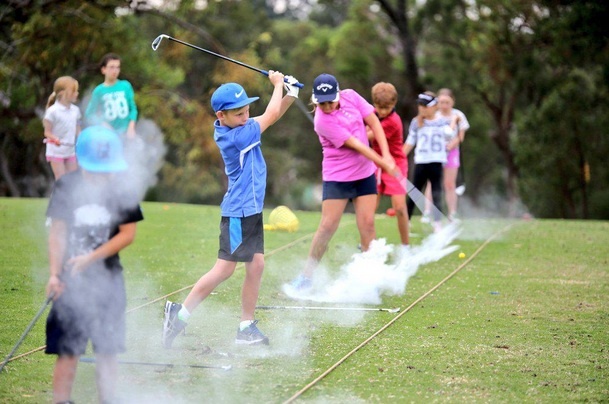 MyGolf is a National program by Golf Australia and the PGA of Australia and focusses on introducing juniors to the basic skills of golf in a fun and supported environment. For more information and to register for the next series of MyGolf classes head to www.mygolf.org.au.